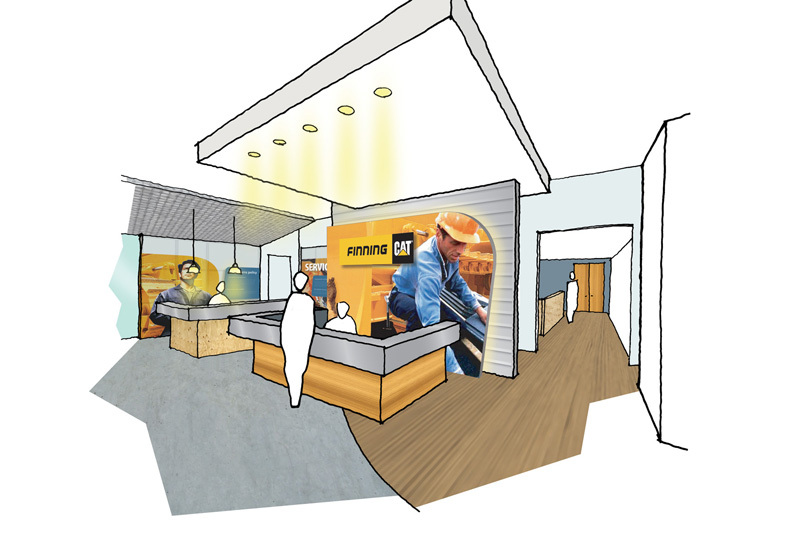 This project built on a new brand identity for Finning launched in 2005. 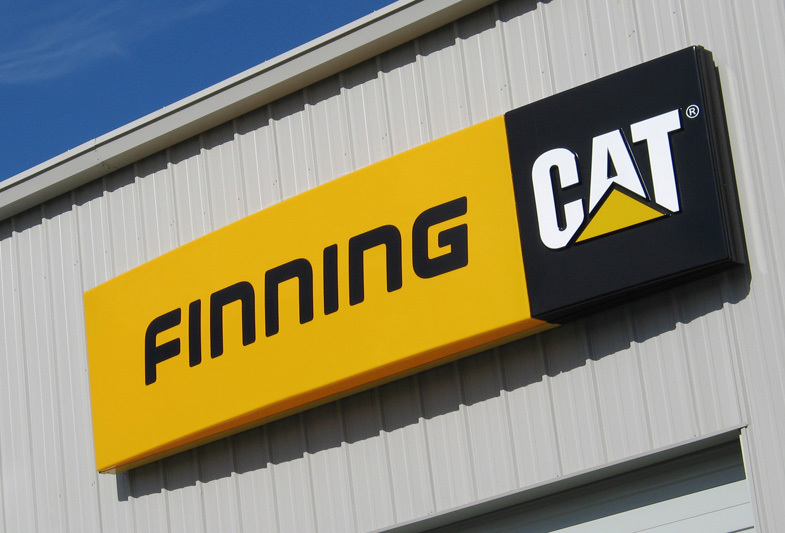 At that time, the Finning personality was clarified and expressed as the notion of a relationship between the machines (represented through heroic images of CAT equipment), and the Finning employees (the Hero) that better reflected the outstanding service philosophy in the organization. 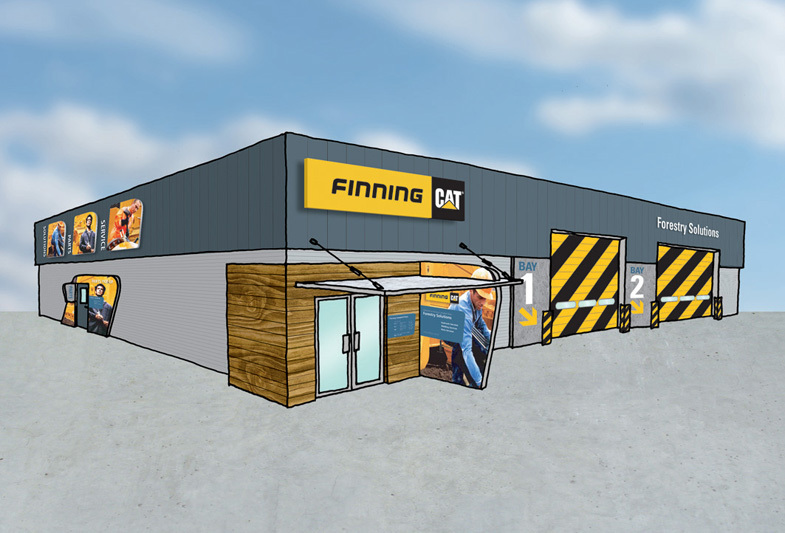 Essentially, we needed to balance a strong ‘product brand’ (CAT) with an equally strong ‘service brand’ (Finning), and the heart of that balance became what was unique and definable about them. 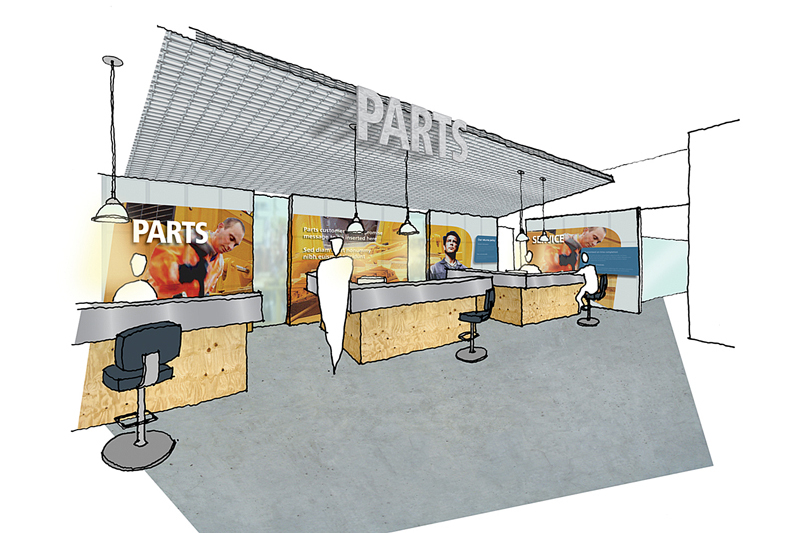 Building on the elements of the identity system, the task here was to bring this brand to life at the primary customer touchpoints; their branch dealerships. This is the ‘coal-face’ of their relationship with those customers, from buying or leasing their equipment to getting parts and servicing. 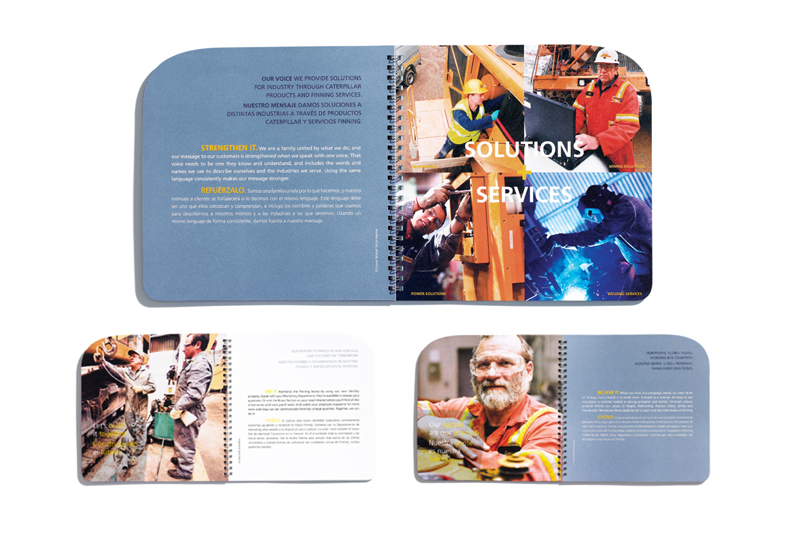 Being the basis of a vital, ongoing relationship there was a need to not only to update these environments but also to ensure they strongly expressed a new brand which made a lasting impression. 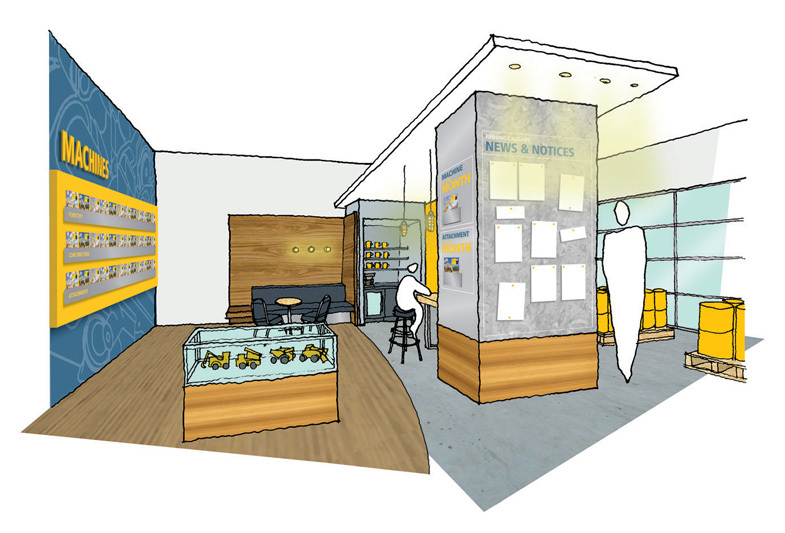 Working with an interior architect on the concept, we completely rethought the circulation and flow of the space to bring clarity and focus to the primary areas of customer interaction, paying close attention to the different functional needs of those areas. New areas were created to exploit the social aspect of customer visits, while signage, materials and finishes in the space reinterpreted the core brand identity elements and its personality.